Anthony Baronci | Ruskin Moscou Faltischek, P.C. Anthony Baronci is a Partner at Ruskin Moscou Faltischek where he is a member of the Real Estate Department. He received his J.D. from St. John’s University School of Law in 1991 and his B.S. from Fordham University. He concentrates his practice on commercial real estate transactions, including acquisitions, dispositions, financing, leasing and development. He devotes his practice primarily to commercial properties, including retail, office and mixed-use properties and multifamily properties, including properties subject to rent control regulations. He also handles leasing for shopping malls, strip malls, and mixed-use town centers and represents borrowers with respect to construction and permanent financing, including securitized loans, mezzanine financing and IDA financing. 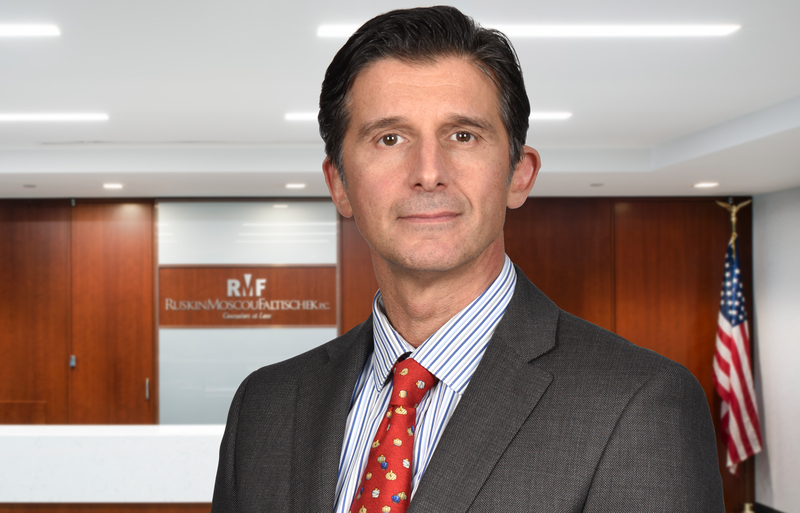 Prior to Ruskin Moscou Faltischek, P.C., Anthony was special counsel at Ackerman, Levine, Cullen Brickman & Limmer, LLP. He was also a partner in a boutique firm that specialized in commercial real estate. He is a board member of the Helen Keller Services, which through its two divisions, Helen Keller National Center and Helen Keller services for the blind, provides training for independent living to those who are blind, visually-impaired, deaf, or have combined hearing-vision loss. He is also a board member of the Russell Gardens Association, Inc., the homeowner’s association for the Incorporated Village of Russell Gardens, which is responsible for the maintenance and operation of the village pool. He represented the association in connection with the sale of parkland and tennis courts to the Village. Anthony is admitted to practice before the courts in the State of New York and the State of New Jersey.